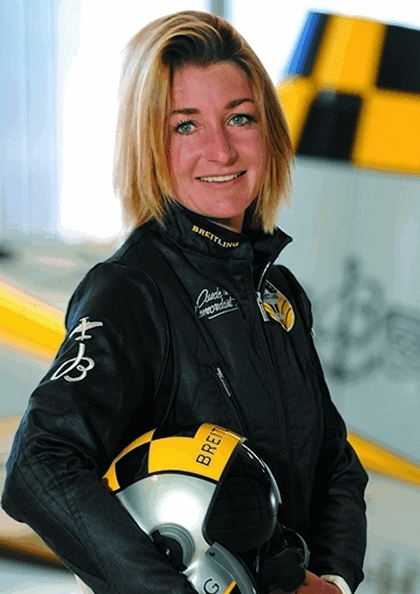 One thing is certain, it is guaranteed that there will be two beautiful pictures in Durban on the 28th May at the Sky Grand Prix of Aerobatics, one will be the venue, a picturesque scene that is undoubtedly one of Durban's jewels and by no means second we have French ladies aerobatics champion Aude Lemordant. Aude continues, “I will be using Nigel Hopkins extra 330sc. It is brand new and it came out of the factory only a few months ago. My aircraft at home is an extra 330SC. I think all the aircraft are slightly different. The aim for me will be during training to look at the differences in the aircraft. The main ones are usually on the roll rate and efforts on the stick. But first of all I must try finding the right seating position. On my aircraft I asked the factory to make special seating adjustments. I like flying close to the controls and I am not very tall especially compared to Nigel, so that will be an issue!” She jokingly states. There will also be some eye candy for the ladies as top Polish pilot Artur Kielak will also be waltzing into town. 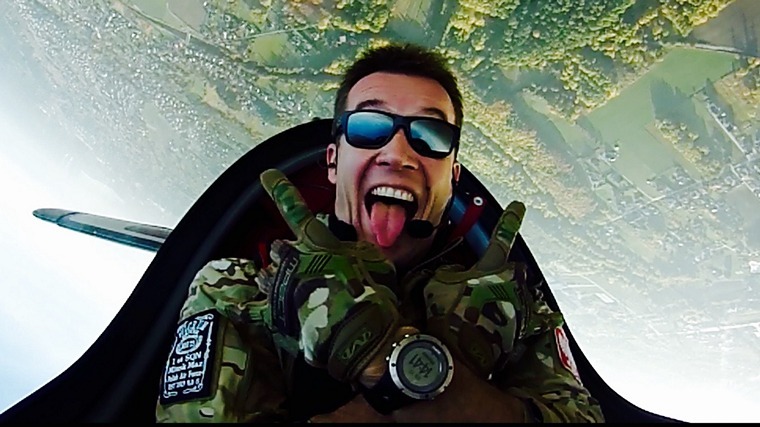 Artur is a member of the Polish national aerobatics team and an airline pilot and is a past Polish national champion; He is also a test pilot for the XtremeAir factory based in Germany. Artur and Aude are two of a compliment of three international flyers coming to South Africa from Europe. The third pilot is Russian Mikhail Mamistov. Mikhail is no stranger to South Africa having also competed in the 2014 Sky Grand Prix event in Durban, This cheerful and friendly aviator made many friends in Durban on his last visit and the organizers are thrilled to have Mikhail in the line-up once again. Mikhail is a ten-time Russian Aerobatics champion and has a list of accolades the length of his plane. Mikhail has been competing since 1987, his experience will be telling on the day as he takes on some of the young guns at the Sky Grand Prix. With this star studded line up which includes South Africa's best pilots and American Rob Holland, you will be missing out on a unique experience if you are not down at Greyville racecourse on the day. The Sky Grand Prix of Aerobatics is an event that will make South African aviation history. There will be other activities on the day, which will be advertised in due course. What is aerobatics: Aerobatics is the practice of flying manoeuvres involving aircraft attitudes that are not used in normal flight. Aerobatics are performed in airplanes and gliders for training, recreation, entertainment, and sport. Additionally, some helicopters, such as the MBB Bo 105, are capable of limited aerobatic manoeuvres. An example of a fully aerobatic helicopter, capable of performing loops and rolls, is the Westland Lynx. Most aerobatic manoeuvres involve rotation of the aircraft about its longitudinal (roll) axis or lateral (pitch) axis. Other manoeuvres, such as a spin, displace the aircraft about its vertical (yaw) axis. Manoeuvres are often combined to form a complete aerobatic sequence for entertainment or competition. Aerobatic flying requires a broader set of piloting skills and exposes the aircraft to greater structural stress than for normal flight. In some countries, the pilot must wear a parachute when performing aerobatics. This event will be held in conjunction with the Annual Daily News 2000 Racemeeting. The Daily News 2000 Racemeeting commences with the first race off at 13:55 and entrance to the races will be FREE from 13:00. The event is a Federation Aeronautique Internationale (FAI), FAI Aerobatics Commission (CIVA) internationally sanctioned event and is sanctioned locally by the Sport Acrobatic Club (SAC) and the Recreational Aviation Administration of South Africa. (RAASA). Cost to enter Greyville Racecourse on the day will be R220 for adults and R50 for children under 12. Tickets are on sale at computicket. The event is supported by - Gold Circle, Royal Durban Golf Club, the Daily News, Sibaya Casino and Entertainment Kingdom and Caesarstone. For further event enquiries contact Vivienne Holden Event Management & Stakeholder Liaison SGP, email topnotch079@gmail.com Cell No: 082 8825056.